NASHVILLE, TN. 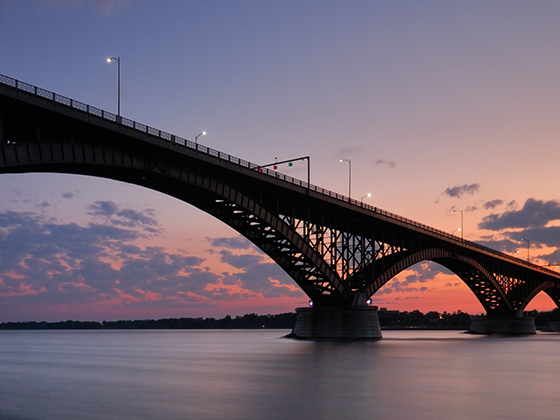 (GLOBE NEWSWIRE) Jan. 15, 2019 – The Buffalo and Fort Erie Public Bridge Authority has selected TransCore to develop an integrated electronic toll collection and border analytics system on the Peace Bridge, which crosses the Niagara River, connecting Buffalo, New York with Fort Erie, Ontario. The innovative approach combines electronic tolling with data analytics to improve mobility and reliability along an important international bridge. Opened in 1927, more than five million vehicles cross the Peace Bridge each year, making it the second busiest border crossing between Canada and the United States.